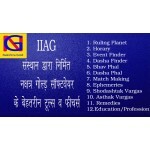 Our IIAG Astrology Centre Best Tranings And Courses For Astrology, Numerology, Palmistry, Kundali Making Etc. We Have Appointed Skilled And Experienced Astro. Professionals For Every Course. They Give Proper Training And Assistance To The Students And Learners To Explore Every Concepts Of Astrology. 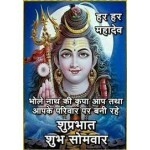 The Most Accurate And Advance Astrology Software For Followers Of KP System (Krishnamurti Paddhati). Our Experts Train The Learners To Shot Out Personal, Professional, Physical, Money, Love, Marriage And Other Issue Of An Individual’s Life Through Astro Science. ASTROLOGICAL LINE: Learn The Journey Of Your Soul All Courses Are Recognized By UGC.